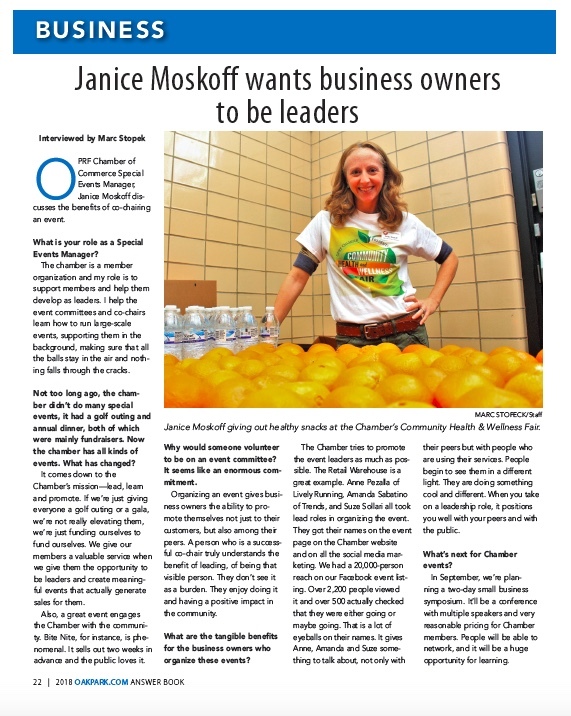 Volunteering for the OPRF Chamber is a excellent way to get involved, contribute to, and demonstrate leadership in the Oak Park - River Forest business community. Participation in one of our six annual OPRF Chamber special event committees is a perk exclusively reserved for our paid members. Committees are working volunteer groups, led by Chamber members and assisted by Chamber staff. They are great places to learn, influence events you care about, and expand your network. These event committees include: Bite Nite, Retail Warehouse Sale, Community Health & Wellness Fair, Economic Luncheon, Golf Outing, and Spotlight Awards. For non-members and members not ready to join a committee, we also offer 1 to 2.5 hour, day-of, volunteer opportunities at monthly programming events such as: Meet Me For Lunch, Business After Hours and Lunch & Learns. We also open up day-of volunteer shifts for most of our large scale special events 2 to 3 months in advance. Day-of volunteers are not required to be members and are often offered perks such as complimentary meals, free event tickets and more. 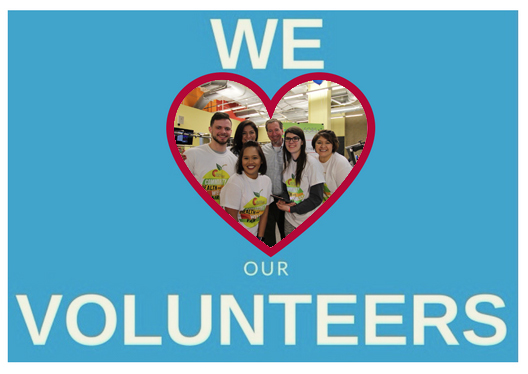 Participating as a day-of volunteer is a great way to "try-out" getting involved. Checkout 2019 OPRF Chamber member & non-member volunteer opportunities below or view entire listing of active volunteer opportunities HERE. Questions about volunteering for special events? Contact OPRF Chamber Special Events Manager here. Questions about volunteering at programming events? Contact OPRF Chamber Programming Manager here.